All photographs were taken in 2002. 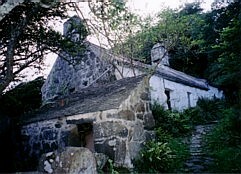 This cottage, built four hundred years ago, was just off the road next to Plas-yn-Rhiw estate in Y Rhiw and too small so he gave most of his books to his son. Pictures by his wife also could not be displayed in the cottage. 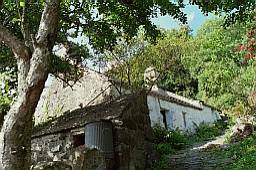 Instead of that, he spent his days in this cottage in seeing birds and especially waiting for rare birds. He also could stare at the coast called Porth Neigwl or Hell's Mouth through the window, "hearing the eternal sound of the waves breaking on the beach at Porth Neigwl." Repeating day after day, 'Miserere me, Domine'1, he brooded on "the tension between the old life and the way it's being threatened by the contemporary world". He went on writing poetry and exploring his quest for God. Confronting the difficulties in this contemporary scientific world, he was questioning the self-consciousness, the human journey and faith. 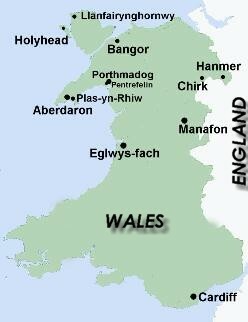 In 1985, he published his autobiographical essay written in Welsh, Neb ("No one" in English), in this peninsula where pure Welshness was found. 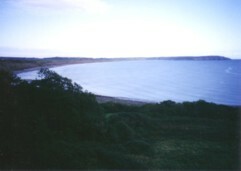 He also wrote a Welsh essay about the nature around him in Lleyn peninsula, which was published as Blwyddyn yn Llyn ("A Year in Llyn") in 1990. These prose writings were both translated into English later and included in Autobiographies, the collection of the translations from his Welsh essays. It took more three years after her death for him to move to Llanfairynghornwy, Anglesey. It was a hard work to find out Sarn-y-Plas close to Plas-yn-Rhiw, which was uncharted on my map. After we had seen the churches in Aberdaron, I drove off from Aberdaron to there and soon was completely lost in winding lanes. I asked some people which way I should take to Sarn-y-Plas (some knows this was why we got lost,-- there was a village called Sarn, in the opposite direction to Sarn-y-Plas but no of us knew it then) but most of them were also strangers who traveled in their holidays. It took one hour or more to get there. It was past 6 o'clock and Plas-yn-Rhiw closed. In the morning of 1 September, after learning where the 'real' R.S. 's ex-house was from the hostess of the B&B in Aberdaron which I had stayed, I set out for Eglwys-fach on my own. This time I drove in Wales by myself. And on the way I dropped in on Sarn-y-Plas, without any a confusion this time! Rhiw means "slope" or "hill" in English and Plas "mansion." 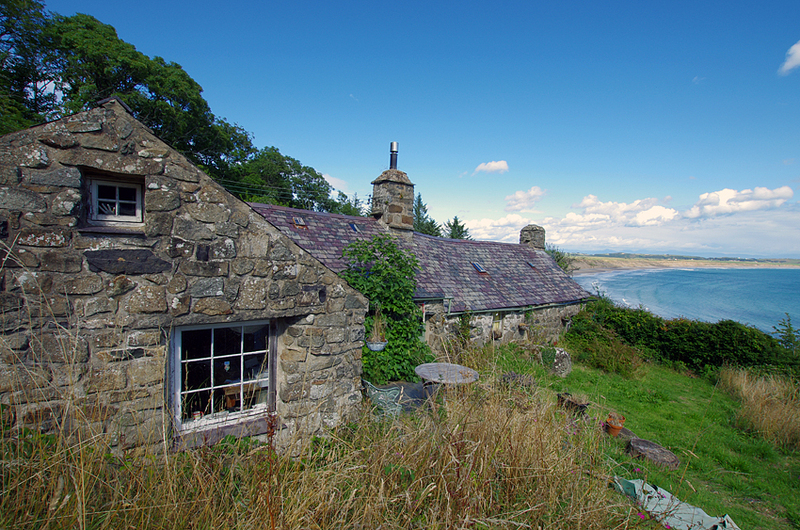 So Plas-yn-Rhiw means "Mansion on the hill." Click, if there is not a frame on the left. Thank you.